On April 1oth, thirty six BSGE students varying from sophomores to juniors, went to France and Spain for a cultural immersion trip. 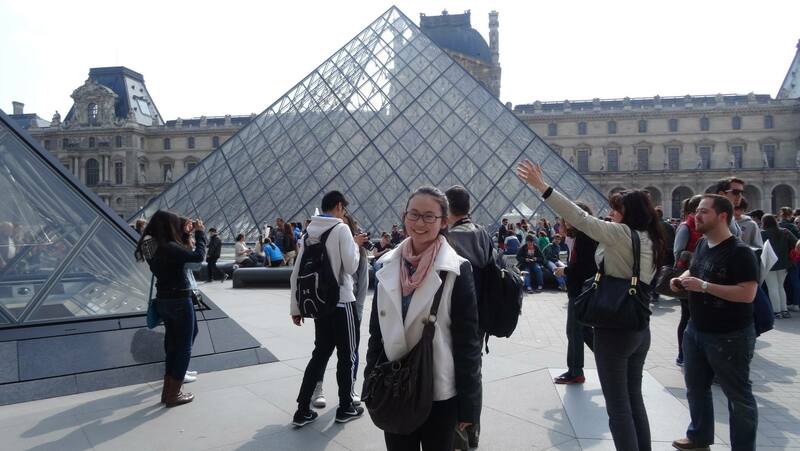 This year’s trip marks the third time BSGE students have traveled to a foreign country. Accompanying them to Europe were six chaperones, all teachers from BSGE. The number of chaperones increased drastically from the prior cultural trip, given the amount of students attending this year. This year’s chaperones included yoga teacher Ms. Jackson, humanities teacher Mr. Lakhaney, math teacher Mr. Mehan, and chemistry teacher Ms. Mihalache. Other chaperones included foreign language teachers Mr. Giraldo and Mr. Rajiv Mahajan, who teach Spanish and French respectively. 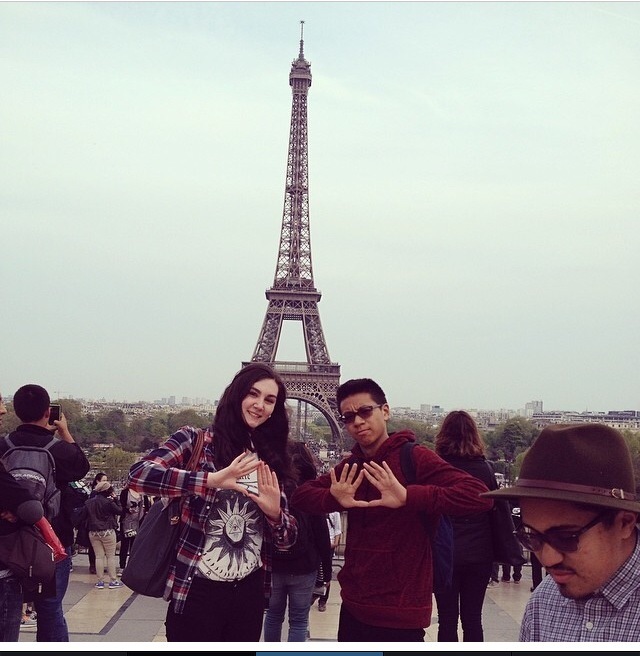 Students spent their entire spring break visiting various landmarks and experiencing the cultural influences of both European nations. Students departed for Europe on a Thursday, a typical school day. After school ended, students stayed after school with their baggages to take a bus to the airport. Mr. Giraldo said how some of the students looked “so excited and couldn’t wait to go on the trip.” At the airport, the students boarded a flight to Paris, France. The next morning, they arrived at Paris and dropped of their luggage at the hotel. Other visits in Paris included a stop at the Arc de Triomphe, visits to the Tuileries Garden as well as Les Invalides and finally, a visit to the well known and the awe inspiring Eiffel Tower. 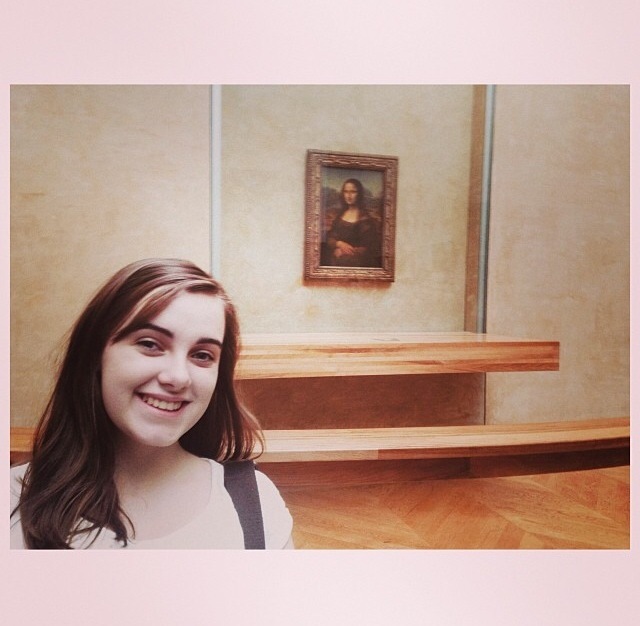 Tenth grader Marika Cygert’16 thought that in particular, “the Eiffel Tower was nice to see at night” and looked a lot better at night than in day. 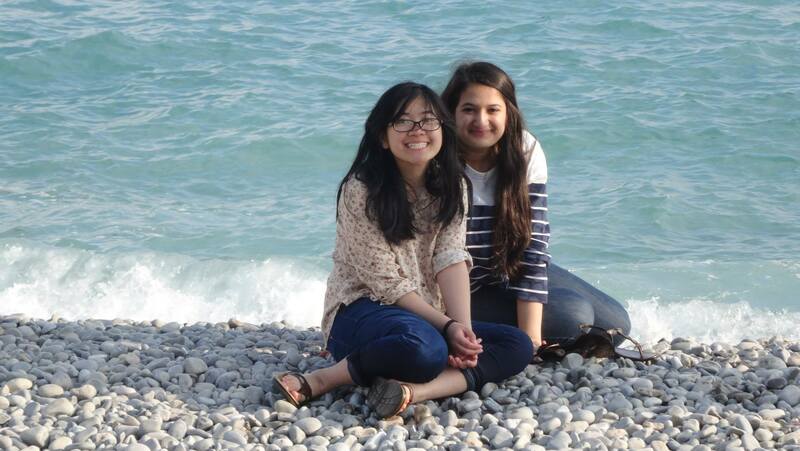 She also enjoyed a boat ride in France, and thought that it was a fun experience. 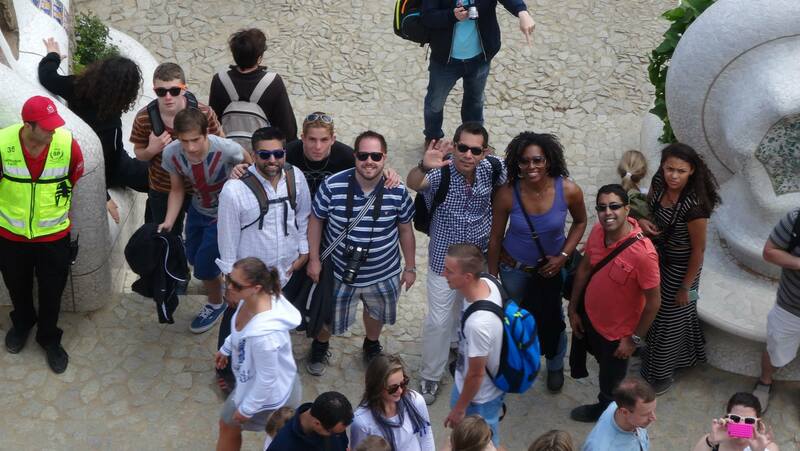 After spending a few days in Paris, the group went to the city of Eze, in southeastern France. There, they were taken on a sightseeing tour along the Mediterranean coast, visiting a local parfumerie on the way. They also stopped by Monaco and took the TGV (Europe’s fastest high speed train) to the city of Nice. 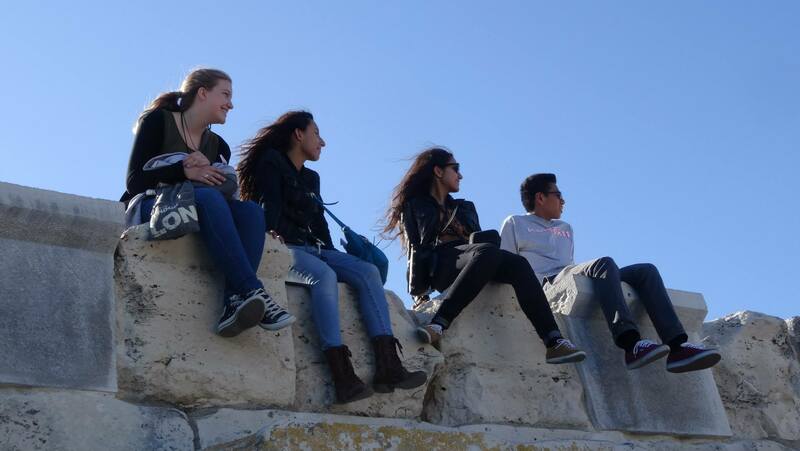 After visiting Nice, students went to Provence, where they went sightseeing in the ancient city of Avignon and visited an amphitheater that once housed gladiator fights over 2,000 years ago. Spanish students were able to practice talking with locals and interacting with businesses throughout their stay. “It was easier to know where certain things were since we recognized the signs in Spanish,” said Sophomore, Christian Trotti’ 16. Another Barcelona landmark the students saw was the famous church, La Sagrada Familia. The church, also built by Gaudi, is marked by tall, grand spires. Mr. Giraldo described it as: “one of the most wonderful places I ever visited in my life.” He remembered when he visited the church a while back when he was a college student in Spain. “Going back to the place with students this time and seeing their reactions, going ‘wow’ was extremely rewarding.” Students in Mr. Giraldo’s class were already familiar with the church after learning about it, but Mr. Giraldo believes it is one thing to see something in class and another thing to be experiencing something in front of you. Mr. Mahajan described the trip as a “great and fun time for everyone” and that “it was good to have students learn different cultural aspects.” His only regret was that the trip felt rushed, as the students had to cover a lot of ground over a period of just eight days. He also wished that more students had signed up to go. Mr. Mahajan said he was very proud of the students that went on the trip and exercised their knowledge of French, as well as applying the language to their surroundings. During the trip, Mr. Mahajan said that students loved the free time with friends and teachers were able to relax. He thought it was truly a new experience for students, and that the whole trip was like “pulling the students from a fishbowl, and dumping them into a ocean.” Mr. Mahajan also commented that the trip brought the relationship between teachers and students closer. Seeing the students act made Mr. Mahajan felt like he could trust them more. It was a great learning experience for students, whether they took French or Spanish. Mr. Mahajan recalled a surprising moment when he found students teaching French/Spanish to their counterparts. 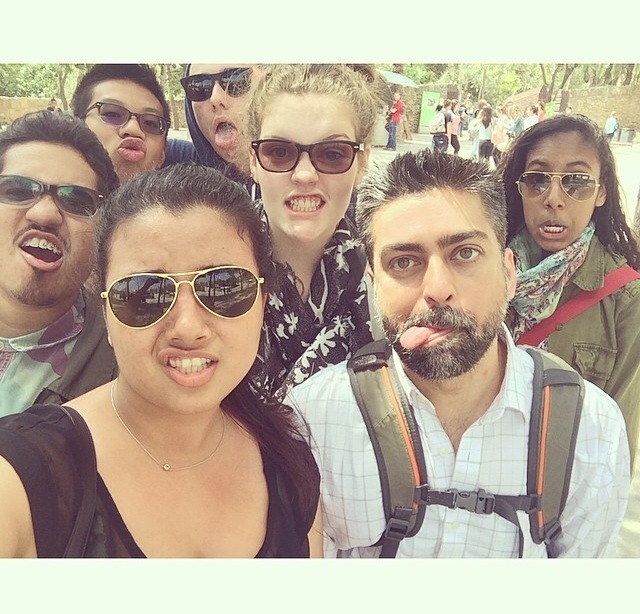 “It was amazing to see the trip’s impact on the students,” said Mahajan. 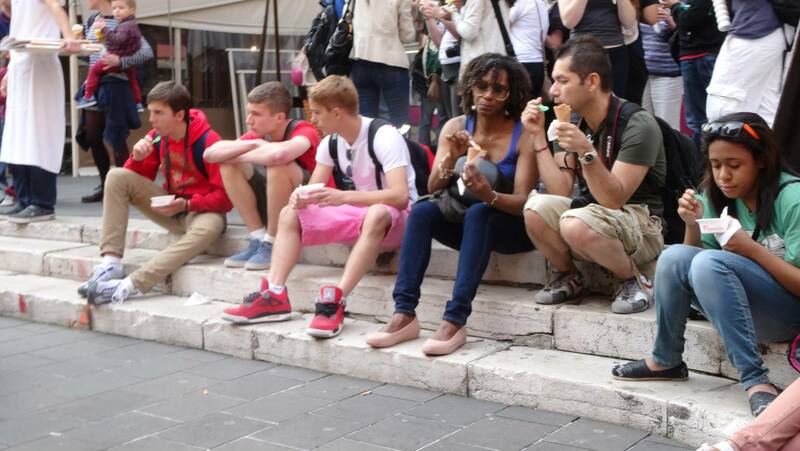 The cultural trip to Europe was overall a great experience for the students involved. They were given opportunities in practicing what they’ve been studying hard for the past few years, all while having fun with teachers and friends as well. These cultural trips are something foreign language students should look forward to in the future.